Dazed and Confused slyly captures a “slice of life” view of multiple small-town students on the last day of school on May 28, 1976. Randall 'Pink' Floyd (Jason London) and his friends are high school juniors (11th graders) on the football team whose biggest decision is whether to sign their team’s anti-drug policy form. Mitch Kramer (Wiley Wiggins) is in 8th grade, where he and his friends are facing the hazing rituals of soon-to-be freshmen (9th graders) that “Pink” and his friends are expected to dish out. How these groups interact forms the backbone of the film. © 1993 Universal City Studios, Inc.
Dazed and Confused has achieved legendary status since it premiered in 1993, and many of the people involved have gone on to big careers, so it’s easy to forget that it wasn’t a huge hit upon its theatrical release. But, time has been kind to the throwback movie, which found an audience of devoted fans once it was released to home video. To learn more about the sometimes rocky production of the movie, grab the book, Chainsaws, Slackers, and Spy Kids: Thirty Years of Filmmaking in Austin, Texas, by author Alison Macor. The upcoming documentary Also Starring Austin also features some discussion of this seminal film. 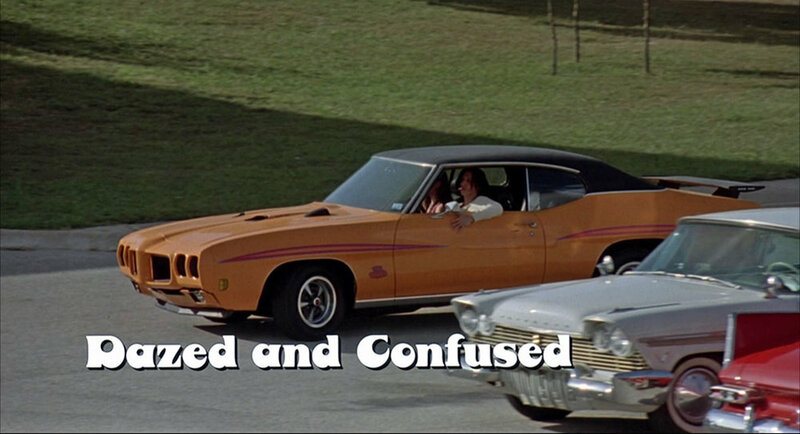 Dazed and Confused was filmed in and around Austin, Texas. SPOILER ALERT: The descriptions below include plot points of the film. If you haven't seen it, I highly recommend watching the special edition from Criterion Collection, available on Blu-ray from Amazon. Researching the film led me to Dazed and Confused @ Damox.com, a barebones fan shrine to Dazed and Confused, which includes a listing of many of the filming locations of the movie. I haven't been able to figure out who runs the site, but I'm thankful that I found a fine starting point for figuring out some of the shooting sites. The Silver Screen Sites page also has some great pictures matching up the filming locations. Director Richard Linklater establishes the mood of the film with an opening scene that shows a 1970 Pontiac GTO rolling into the Lee High School parking lot as Aerosmith's "Sweet Emotion" blares from the radio and a beautiful female passenger rolls a joint. The high school in the movie is the Bedichek Middle School, 6800 Bill Hughes Road, Austin, TX 78745, with the exterior scenes centered around the parking lot along Thelma Drive. On the last day of 8th grade for Mitch and friends, several seniors come to the Junior High School, first at lunchtime to offer threats, and later, at the end of the school day, to begin the hazing. 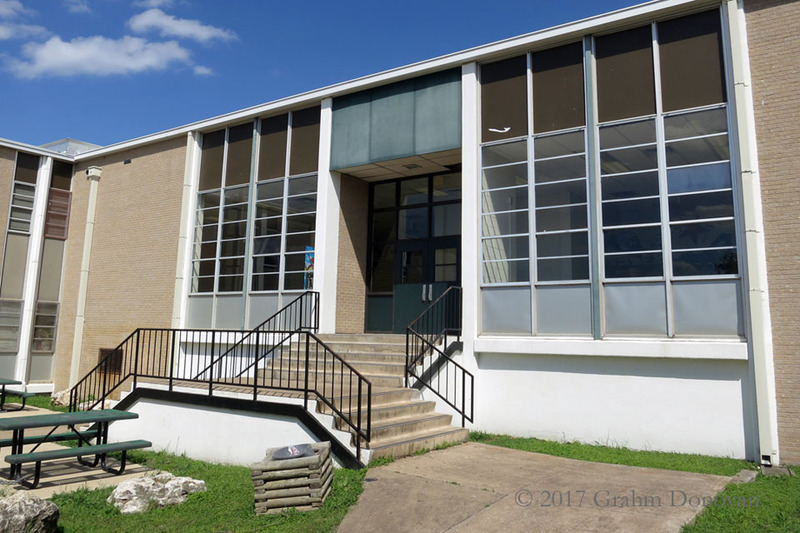 The Junior High School location is now the Everette L. Williams Elementary School, 507 E. University Avenue, Georgetown, TX 78626, with much of the action taking place on the Ash Street side of the building. Reference: This site is listed on the Damox.com site, among other places. As Mitch and Carl (Esteban Powell) flee from angry senior O’Bannion (Ben Affleck), they find refuge at Carl’s house, where Carl's Mom (Katherine Asher) confronts O’Bannion with a shotgun. The filming location for Carl's house is 6409 Wilbur Drive, Austin, TX 78757. Reference: I originally located this myself, but I discovered that somebody else has already listed it on the IMDb page for Dazed and Confused Filming Locations. Darla (Parker Posey) gleefully leads the hazing of the upcoming freshmen girls in the parking lot of a movie theater. At the front of the parking lot, 'Pink,' Benny (Cole Hauser), Melvin (Jason O. Smith) and Don (Sasha Jenson) hang out in a pickup truck. The hazing scenes with the girls were filmed at the former Americana Theatre, 2200 Hancock Dr., Austin, TX, 78756. 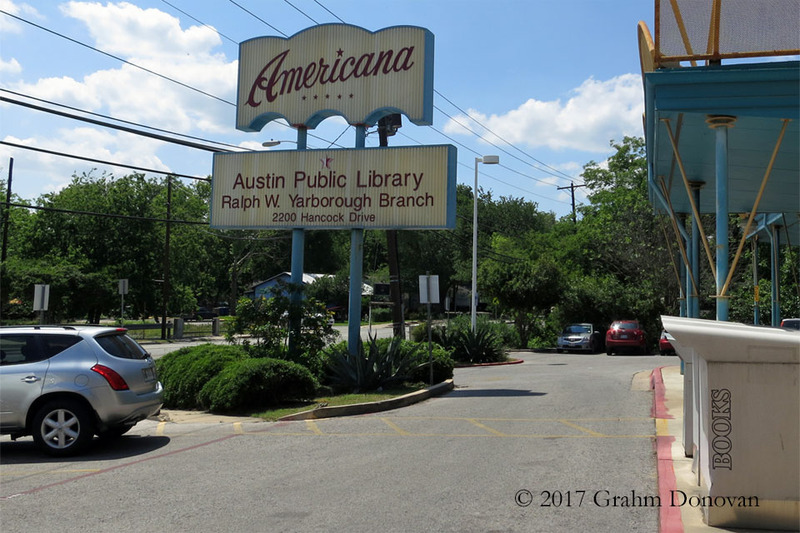 The location has been converted into the Yarborough Branch of the Austin Public Library. Reference: This is probably the most commonly known site of Dazed and Confused. The senior girls load the food-covered freshmen girls into the beds of pickup trucks and drive through the car wash. The location is the Seguin Shine Car Wash, 904 S Austin Street, Seguin, TX 78155. The Robo-Wash system is no longer installed in the bays, but the tracks are still visible. If your truck is dirty, this is a pleasant, tree-lined spot to wash a vehicle. Reference: This was difficult to find, as some sources list it in Marble Falls, TX. 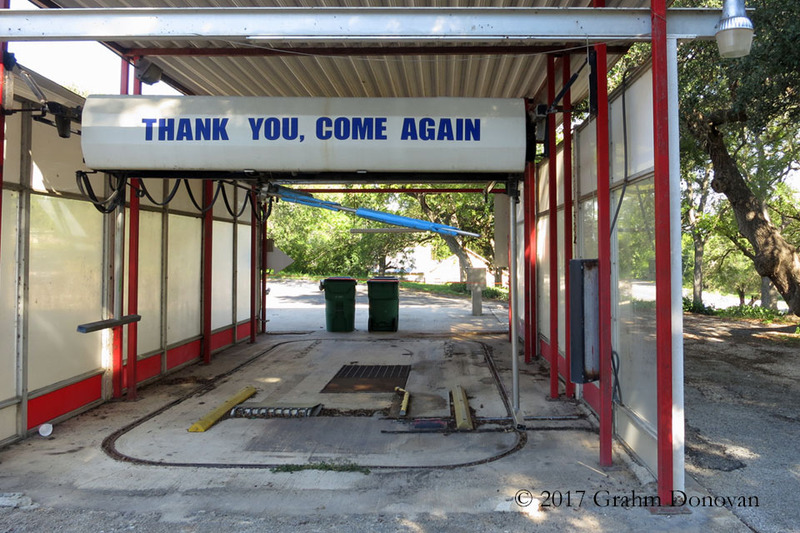 Fortunately, I found an obscure Google forum post, which led me to a Facebook post, from the car wash proprietors that confirmed the location. 'Pink' and Slater (Rory Cochrane) head over to visit Kevin Pickford (Shawn Andrews) to do "a little business" before the party that's planned at Pickford's house later. The Pickford house location is 5800 Coventry Lane, Austin, TX 78723. Reference: Someone posted this on the IMDb page for Dazed and Confused Filming Locations. The evening after the last day of class, Mitch's team takes to the local baseball field, with Mitch as the pitcher. However, he's distracted by Benny, Melvin and O'Bannion, who are waiting to "bust" him. As night falls, Mike (Adam Goldberg) and Tony (Anthony Rapp) walk out of a house and get into the car that Cynthia (Marissa Ribisi) is driving. The location of Mike's house is 2513 Great Oaks Parkway, Austin, TX 78756. Reference: Someone posted this on the IMDb page for Dazed and Confused Filming Locations as Mike's house, although it could possibly be Tony's. The local drive-in restaurant is a social hub for the teens, with various cars full of kids coming and going and making plans for the night, including Wooderson (Matthew McConaughey), the older guy still hanging around with high school kids. On-screen, Tony declares, "I swore to God I'd never come to a Top Notch, and here I am sorting through jalapeno burgers and soggy fries," which implies that it's a chain restaurant. 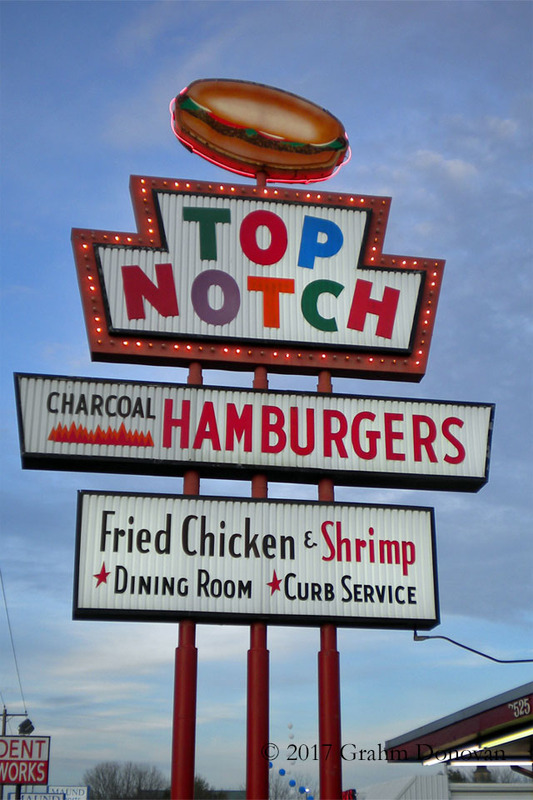 However, the real Top Notch Hamburgers, 7525 Burnet Rd, Austin, TX 78757, is a one-of-a-kind, throwback restaurant with terrific charcoal-grilled burgers, so be sure to eat here and enjoy the experience. The Kramer house is located at 6806 Pioneer Place, Austin, TX 78757. Several of the students hang out at the Emporium, a local pool hall and game room where Wooderson delivers his notorious line, "That's what I love about these high school girls, man. I get older, they stay the same age." The Emporium exteriors were created by the filmmakers at approximately 6600 North Lamar Boulevard, Austin, TX 78752. The Emporium was on the side of the Violet Crown Plaza closest to Brentwood Street, near where a plaque marks the site as "Austin's first shopping center" and notes the filming of the movie. Reference: This commonly known site is listed on the Damox.com site, among other places. Inside the Emporium, kids “hang out” or gather around pinball machines and foosball and pool tables. Interior scenes are clearly filmed at the same location as the exteriors, which is most noticeable when Mitch returns with Melvin’s “sixer.” As newly confident Mitch strolls back into the Emporium, the parking lot is clearly visible. Shortly thereafter, in an unbroken shot, Mitch walks past O’Bannion’s pool table, whispers to Julie (Catherine Avril Morris), and goes back out to the parking lot. An interview in Also Starring Austin with director Richard Linklater confirms the filming at this location. I’ve seen claims online that Emporium interior sequences were filmed inside either of two real bars in the Austin area, but I haven’t seen any evidence that scenes were filmed at those locations. Carl and Tommy head to the eighth-grade dance at the Recreation Center, where Hirshfelder is kissing a cute, blonde girl, until they drag him away. Reference: A 1993 SPIN magazine article discusses the filming at TSBVI. Despite his loyalty, Hirshfelder is abandoned by Carl and Tommy when O’Bannion, Benny and Don find them, and Hirshfelder gets “busted” against a chain-link fence. This sequence was filmed on Wild Street at Ruth Avenue, Austin, TX 78757, around the corner from the Emporium location. The fencing marks the back lot of an electrical supply dealer, and the distinctive storage racks for metal pipes are still at the site. Reference: I found this location based on the Ruth Ave, 900 block, street sign seen on-screen as the boys are shown walking. After cruising around and vandalizing mailboxes, Pickford, 'Pink', Don and Mitch stop at the Ballard’s Grocery convenience store to grab some beer, but they end up in a confrontation with an agitated man. The location is now a Shell gas station and convenience store at, 4001 Medical Parkway, Austin, TX 78756. The building's façade has changed since the movie was filmed, but the neighboring buildings in the scene are intact. Reference: This well-known location is listed on the Damox.com site, among other places. After Melvin asks if Mitch can “run over to the Centennial over there and pick me up a sixer,” Mitch plays it cool while buying beer at the liquor store across from the Emporium. 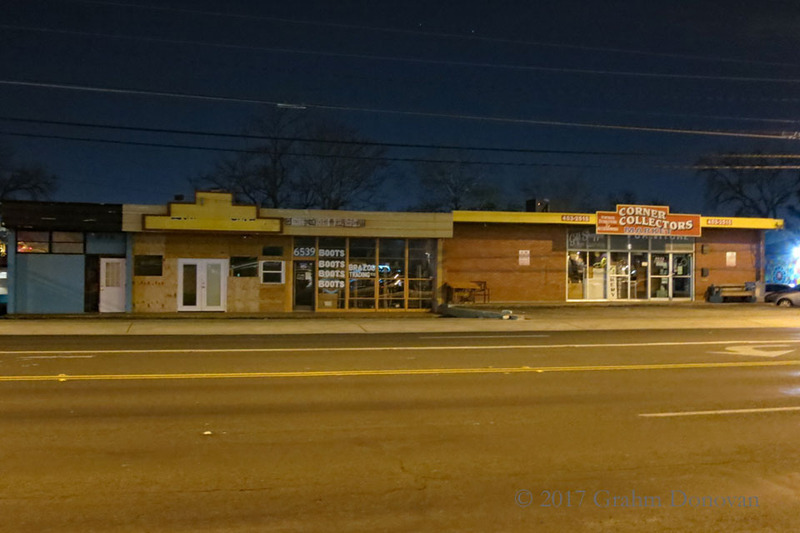 The actual Centennial liquor store was located at 6534 N Lamar Blvd, Austin, TX 78752, but it has since been demolished. However, the store's sign still stands at what is now a "gentleman's club" parking lot, and you can still identify the buildings across the street that are seen as Carl, Tommy and Hirshfelder talk with Mitch outside the store. Reference: This location is listed on the Damox.com site, among other places. O’Bannion hears that Carl is being “busted”, so he heads from the Emporium to a car repair shop, where he finds Carl leaning against a garage door. 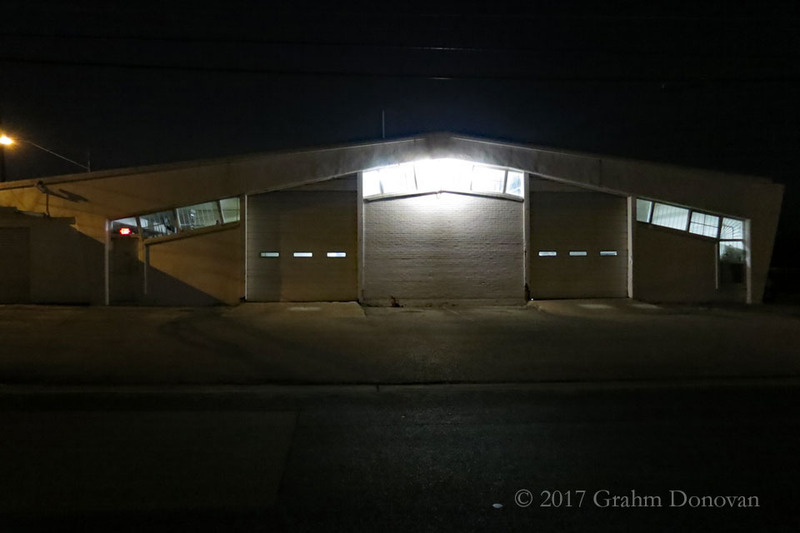 The garage is located at 821 Brentwood St, Austin, TX 78757, and, as seen on-screen, it is directly across the street from the Emporium filming location. The garage is part of a Service King Collision Repair Center. Reference: This location is listed on the Damox.com site. Also, Flickr user John Wells has an album that includes an diagram of the locations around the Emporium site. After getting revenge on O’Bannion, Tommy and Hirshfelder run to the back of the garage roof, where they make a series of jumps to get down to the ground, before they meet up with Pentico, who drives off into the night. This sequence occurs at the back of the Rick's Auto Machine Shop building, near Wild Street at Karen Avenue, Austin, TX 78757. Reference: This location is easy to determine, based on the location of the Rick's Auto Machine Shop scene. After Pickford’s planned party is cancelled, Wooderson organizes a “party at the moontower,” where many of the students gather in the woods under the glow of a tower filled with bright lights. The filming location for the party scenes is listed online as either being at Walter E. Long Metropolitan Park, 6620 Blue Bluff Road, Austin, TX 78724 or Westenfield Neighborhood Park, 2008 Enfield Road, Austin, TX 78703. Darla (Parker Posey) gets ready to drink from a "beer bong" as a fellow student (an uncredited Renée Zellweger) pours the beer during the "Party at the Moontower"
I'm certain of the filming at the Walter E. Long Metropolitan Park. The AMC-produced documentary Making Dazed, available on the special edition from Criterion Collection, includes a brief shot of Richard Linklater and producer James Jacks walking on the set, with Lake Walter E. Long and the Decker Creek Power Station in the background. There is also a longer segment about a 10th anniversary screening, which was held in 2003 at the Walter E. Long park specifically because the party scene had been filmed there. As for filming at the Westenfield park (often called "West Enfield"), I haven’t been able to verify anything. I found a Yelp discussion with a claim that Wiley Wiggins said the moontower party was filmed at the Westenfield park, but that's all. At this point, I’m not sure what, if anything, was filmed at Westenfield. If you know, please contact me. In any case, I doubt that there’s anything to see at either location, as far as filming locations go. The Walter E. Long park is certainly worth a visit as a park, but I don’t think you can identify any trees from the film. This shot lines up with the view of Coach Conrad as he lectures 'Pink"
After a long night of partying, one group of friends caps off the evening at the high school football field, and Wooderson offers his immortal advice, "You just gotta keep livin', man. L-I-V-I-N."
The stadium is at the Toney Burger Activity Center, 3200 Jones Rd, Austin, TX 78745, a facility of the Austin Independent School District (AISD). The entrance on Jones Road, near the baseball field, is the best entrance to the area where they filmed. 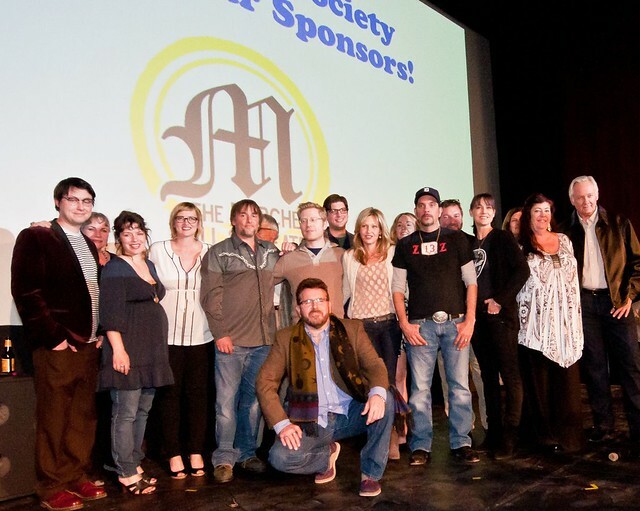 On March 6, 2013, the Austin Film Society (AFS), which was founded by Richard Linklater, hosted a special 20th anniversary screening of Dazed and Confused. The cast members in attendance included Joey Lauren Adams ("Simone"); Anthony Rapp ("Tony"); Marissa Ribisi ("Cynthia"); Michelle Burke ("Jodi"); Wiley Wiggins ("Mitch"); Mark Vandermeulen ("Tommy"); Christin Hinojosa ("Sabrina"); Nicky Katt ("Clint"); Richard Dillard ("Pickford's Dad"); John Swasey ("Beer Delivery Guy"); David Blackwell ("Liquor Store Clerk") and Mona Lee Fultz ("Mitch’s Mother"). On August 24, 2018, the Alamo Drafthouse Rolling Roadshow hosted a 25th anniversary screening of Dazed and Confused with director Richard Linklater in attendance, along with several cast members. The “Q and A” included cast members Priscilla Kinser (“Freshman Girl”); Heidi Van Horne (“Freshman Girl”); Kathleen Cunningham (“Pickford's Mom”); Richard Dillard (“Pickford's Dad”); Mark Vandermeulen (“Tommy”); Catherine Avril Morris (“Julie”) and Wiley Wiggins (“Mitch”). 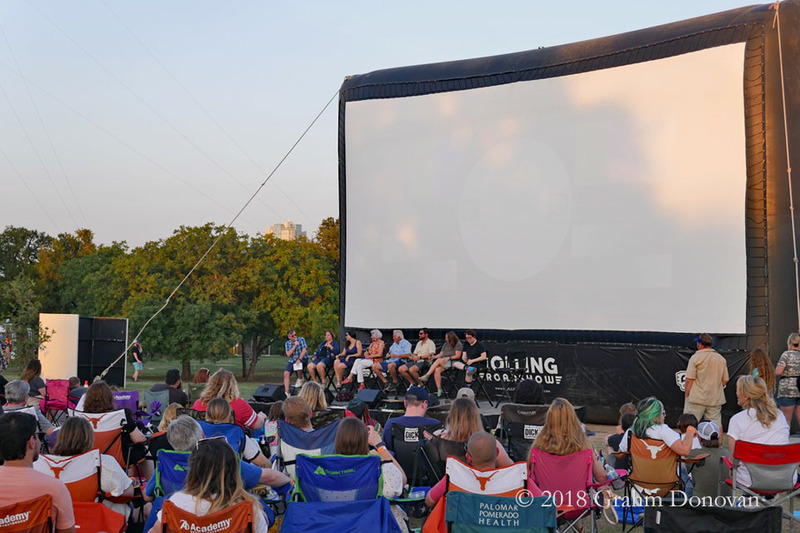 The screening was held in Zilker Metropolitan Park, 2100 Barton Springs Road, Austin, TX 78704, at the site of an authentic moontower. The moontower in Dazed and Confused was a prop constructed for the film, but it was based on the distinctive moonlight towers that light up the night around Austin, Texas. Austin purchased the electric light towers from Detroit in 1894, and today, Austin is the only town with operating moontowers. The 17 towers that still stand have become an iconic part of the city. A terrifc new documentary, The Last of the Moonlight Towers, by Ray Spivey and Jeffrey Kerr, examines the history of the moontowers, including, naturally, some discussion of Dazed and Confused, and the film's contribution to the moontower mythos. Dazed and Confused © 1993 Universal City Studios, Inc.